ASPEN – Aspen police, acting on video evidence they received several weeks ago that cocaine is being dealt out of Bentley’s at the Wheeler, arrested two kitchen workers there Saturday following a near three-hour search of the downtown tavern. Aspen resident Raul Perez Cortes, 50, faces a felony charge of possession of cocaine with intent to distribute. A second suspect, Vicente Vasquez Gomez, 28, whose residence was unknown at the time of his arrest, faces misdemeanor charges of providing a false name and false identification. 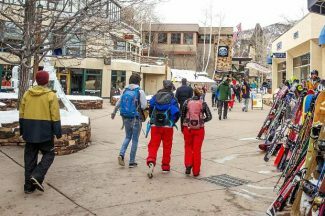 Police seized 60 grams, the equivalent of 2 ounces of cocaine, during the bust, according to a press release issued by the Aspen Police Department. Several thousand dollars in cash and “other materials” were also confiscated, said Assistant District Attorney Arnold Mordkin, who stood watch during the sweep. Detective Walter Chi was the lead investigator in the case. “There was quite a bit of coke involved,” Mordkin said, noting the drug was found in its pure, un-cut form. One dozen police officers participated in the bust, while two deputies from the Pitkin County Sheriff’s Office provided back-up at the bar and restaurant, located at the corner of Hyman Avenue and South Mill Street. Both suspects, who are in the custody of the Pitkin County Jail, will likely be advised of the charges Monday in district court, Mordkin said. They also face possible Immigration and Customs Enforcement holds, Mordkin said. Police served a search warrant on Bentley’s at approximately 10:45 a.m., before the business had opened. There were seven employees on duty at the time, including owner Andrew Petrillo, who declined comment when contacted by a reporter after police had left the scene. The front door was locked during the duration of the search. The restaurant opened later in the day. All employees were given paper questionnaires to fill out when police arrived, said Blair Weyer, spokeswoman for the APD. The questionnaire asked workers whether they would consent to a search and had knowledge of illegal drug activity, among other inquiries, Weyer said. One source close to the investigation said the footage “was covertly recorded” by someone who had access to the kitchen and possibly knew the employees. The last time police conducted a bust of a downtown restaurant came in December 2005. Those searches were done in conjunction with the Drug Enforcement Agency – and during business hours – and were unknown to the Pitkin County Sheriff’s Office. The APD was showered with criticism following the 2005 raids, chiefly because the manner in which they were conducted – during a busy time of the day; officers storming the scene, some with weapons drawn; and no communication with the sheriff’s department, which shares the same floor with the APD in Pitkin County Courthouse. Saturday’s bust was different: Bentley’s was closed, the DEA was not involved, and the sheriff’s office was kept in the loop. Sheriff Joe DiSalvo said he appreciated his office was given heads up, unlike the December 2005 raids. “I was happy to loan them a few troops and make it safe and successful,” DiSalvo said. The bust also comes before a recently-appointed committee and Aspen City Council members will review, in private, proposals submitted by eight applicants that want to fill the current Bentley’s space, which the city plans to renovate. The meeting is scheduled for Tuesday. The current owner, Petrillo, is one of the applicants. Bentley’s has been in business since 1984.